History is not all about kings and queens, battles and wars, plagues and fires or political changes. It's not even all about changes to the way we live. Many things can have a history and sometimes it's fun to go back in time and see how things were. Perhaps you have a favourite sport or hobby. How was cricket played, who invented netball, when was show jumping organised, what were the first football matches like? It might be fun to try to find out. I know that there were headlines in my lifetime when the first footballer earned £100 a week or about £5,000 a year. 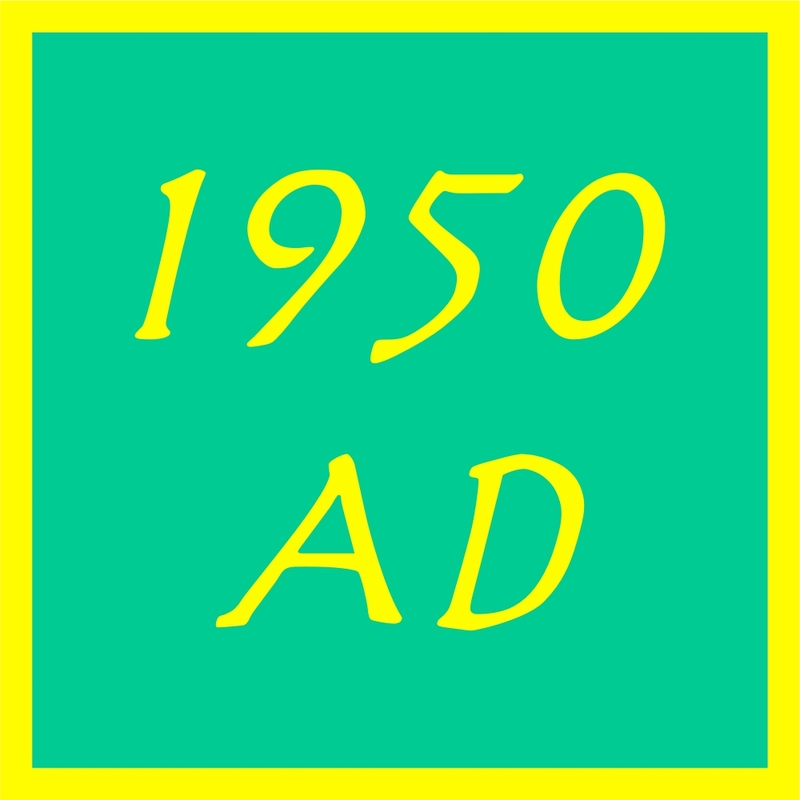 In those days the average salary for ordinary people was about £1,000. Today, 2017, the average salary is £27,000 a year so I am on the lookout for some premier league players earning 5 times that. By the way the player who got that first £100 a week salary was a man called Johnny Haynes, the England captain. Before that happened footballers salaries could not be more than £1,000 a year. My own favourite sport is motor racing and, in a way, I can actually include a bit about it here in the history of England. 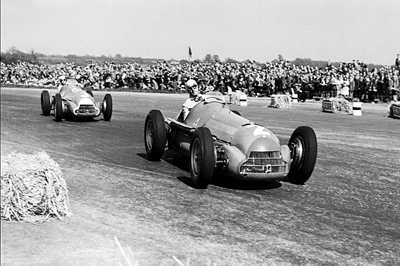 The reason is that, on May 13 1950, a Saturday because professional sport in England wasn't allowed on a Sunday, in the presence of King George VI and Queen Elizabeth, the very first race in the F1 World Championship took place at Silverstone. Obviously motor racing had been around for a while, though not until the car was invented. Sitting on the ground, holding a steering wheel and going brrrm, brrrm, brrrm was not a popular sport. 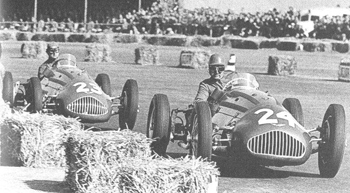 The early days were dominated by the French and Italians and then Hitler came along and paid money to two German manufacturers, Mercedes-Benz and Auto Union, and they dominated leading up to WWII. That one at Silverstone was the 966th World Championship race since that first one. It looks like the 1,000 race will be in early 2019. And so it was. China in fact. It's taken 69 years to get to 1,000 but with at least 20 races a season nowadays it may take less than 50 years to get to 2,000. I may just miss it unless I can get to about 115 years old. Tell you what, I'll give it a go. 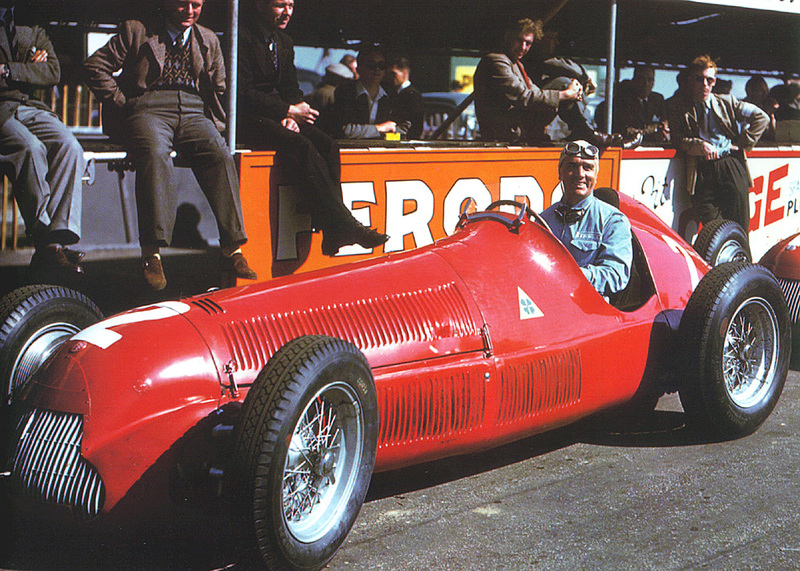 And as you head off to find out the history of your favourite sport, we head into the second half of the twentieth century with a final look at a modern, 1950, Formula 1 car: the race winning Alfa Romeo. 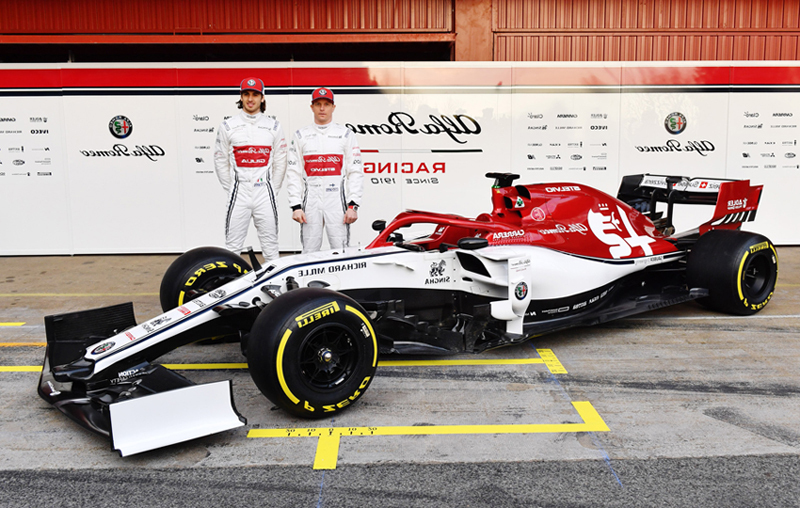 Further update 2019, a 2019 F1 Alfa Romeo. And yes, I flipped the photo so both cars were pointing the same way. Italians don't really write backwards. Oh, and one of their drivers this year is the oldest one from that Silverstone race in 2017, Kimi Raikkonen, who is now 39.